This may relate to a late Easter and Mother’s Day this year, as these events are important volume drivers. However, fresh and frozen pork sales bucked the trend and increased by 1%, according to data from Kantar Worldpanel. There were some changes in the product mix. 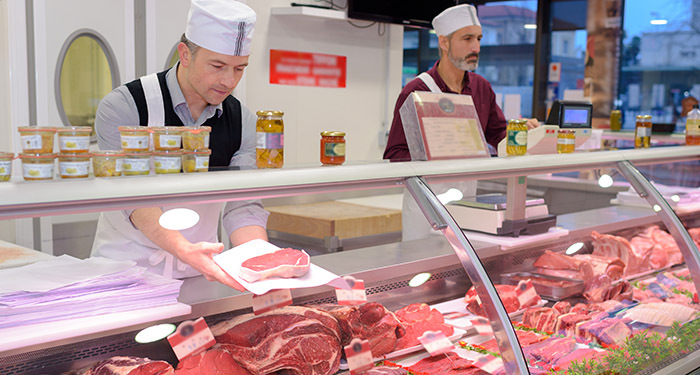 While pork leg and loin roasting joints lost out, shoulder-roasting joints recorded a sharp increase in sales. This may relate to price changes; while all three joints recorded increasing shelf prices, the increase on shoulder roasting joints was more muted. 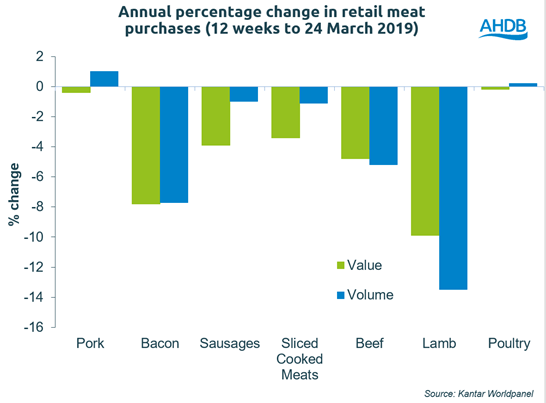 AHDB analyst Rebecca Oborne said: “The volume of bacon purchased faced continued pressure, recording a decline of almost 8% in volume. Kantar reports this is due to both fewer shoppers and fewer trips. There was also less volume on promotion, however, average shelf prices actually recorded little change. Kantar also indicates that while all demographic groups are declining for bacon, it is particularly households with older dependents driving the decline.